The Mountain Equipment Ibex Pant is a lightweight softshell trouser designed for hill walking, scrambling and mountaineering. They use an EXOLITE 210 stretch double weave soft shell fabric providing good breathability and stretch whilst moving. Mountain Equipment say that the Ibex Pant is intended for cooler conditions, however that is probably a touch optimistic. Although they aren’t hot weather trousers either they are probably best suited to spring and autumn conditions in the UK. The EXOLITE fabric provides some weather resistance; it sheds light snow and very light rain but as a woven fabric (i.e. doesn’t have a membrane) it is limited in how much water it can keep out. Similarly the lack of a membrane also means the Ibex Pant does not provide much wind resistance, with anything more than a light breeze blowing straight through. 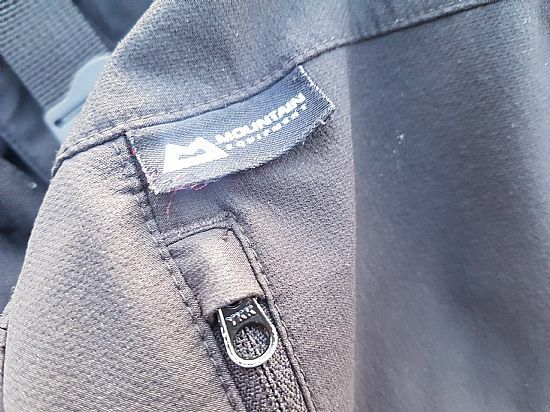 Whilst the lack of a membrane may be a disadvantage for weather protection it does allow the Mountain Equipment Ibex Pants to breathe really well, with no noticeable clamminess or condensation when working hard. 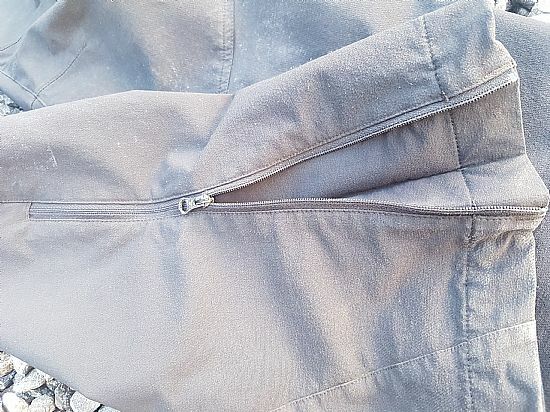 To further aid breathability and ventilation, all of the pockets are partially mesh lined, but most noticeably are the thigh pockets (which can be used almost as thigh vents). The Mountain Equipment Ibex Pant has an absolute plethora of pockets; 2 zipped hand pockets, 1 rear zipped pocket and 2 thigh zipped pockets. 5 pockets in total are probably too many (unless you are particularly keen to carry gadgets and snacks on your person wherever you go). 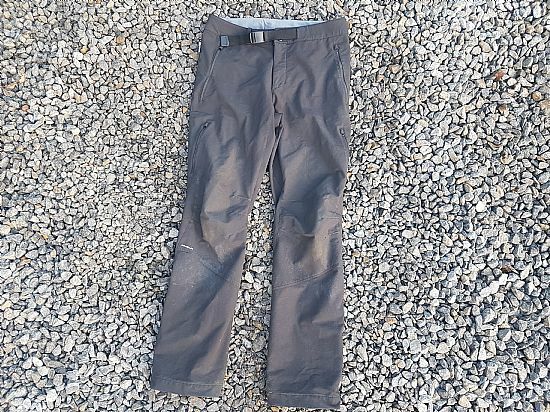 The Ibex pant would arguably be better if the two thigh pockets weren’t there (to save weight and provide better weather resistance), or alternatively if Mountain Equipment were to change them to proper thigh vents like on the Mountain Equipment G2 Mountain Pant instead. The Mountain Equipment Ibex Pant has an “alpine fit”; essentially they are relatively snug fitting. 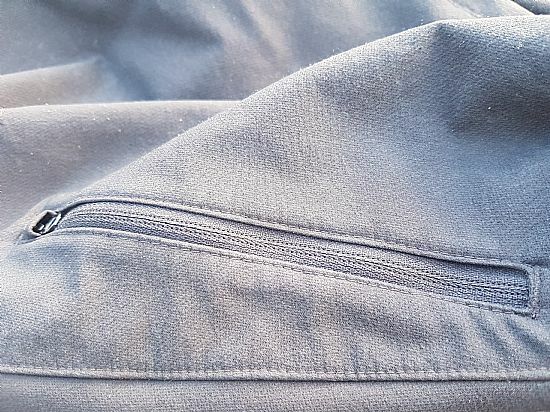 This is really good as it minimises excess fabric (reducing weight, pack size and drying time) but also reduces the chance of snagging them (on rocks, vegetation or crampons if using them for summer alpine). Despite the alpine fit, the Mountain Equipment Ibex Pant are really loose around the waist (I also own the G2 pants in the same size which are much tighter fitting around the waist). This is compounded by the fact the integrated belt has a tendency to work loose throughout the course of a day (inevitably leading to your pants slipping down). The fit is therefore quite difficult to describe and definitely worth trying them on first (but based on my own experience they are loose fitting around the waist but fairly perfect elsewhere). The Mountain Equipment Ibex Pant has a low volume lower leg which can effectively be adjusted by using the ankle zips (with a gusseted panel behind them). This essentially means you can open the ankle zip (creating a wider opening ankle) whilst putting boots on etc. but then close the ankle zip whilst walking (to reduce excess fabric and thereby reduce chances of snagging and abrasion to the fabric). In summary the Mountain Equipment Ibex Pant is a great all round trouser for using whilst climbing, hill walking, scrambling and mountaineering. They tick almost all of the boxes; stretchy, comfortable, breathable and durable enough for most applications. Woven fabric breathes really well and provides some stretch as well. Plethora of pockets (for those who like to carry things on their person). Thigh and lower leg fit is about perfect for minimal excess fabric. The fit around the waist is very odd; the 30 inch waist is bigger than on other Mountain Equipment 30 inch trousers. Integrated belt works loose throughout the course of a day and also has to be retrieved (from the waist) when they have been washed. Thigh pockets would be better if they were dedicated thigh vents or if they weren’t there at all. Many seams around knee provide good articulation but also weak spot for durability (i.e. stitching of seams wears very quickly). 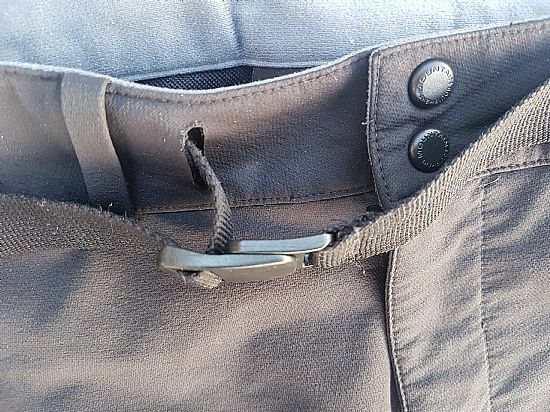 Lack of zipper pullers makes opening pockets difficult with gloves on. The Mountain Equipment Ibex Pant is highly recommended in a very competitive market place for those after a lightweight softshell trouser for climbing, hill walking, scrambling and mountaineering. There are a vast range of alternative products out there, whether you are looking for something which is warmer, cheaper, more durable or more weather resistant, but the Mountain Equipment Ibex Pant is a versatile and extremely competent choice at a good price point.